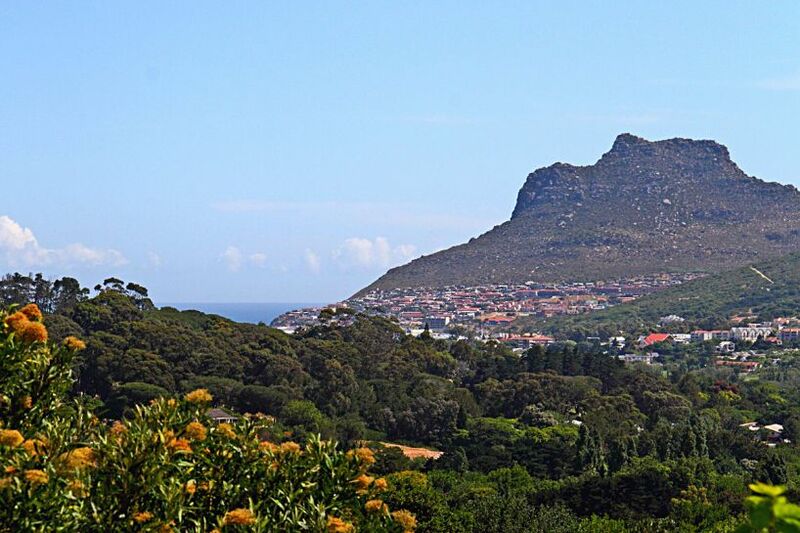 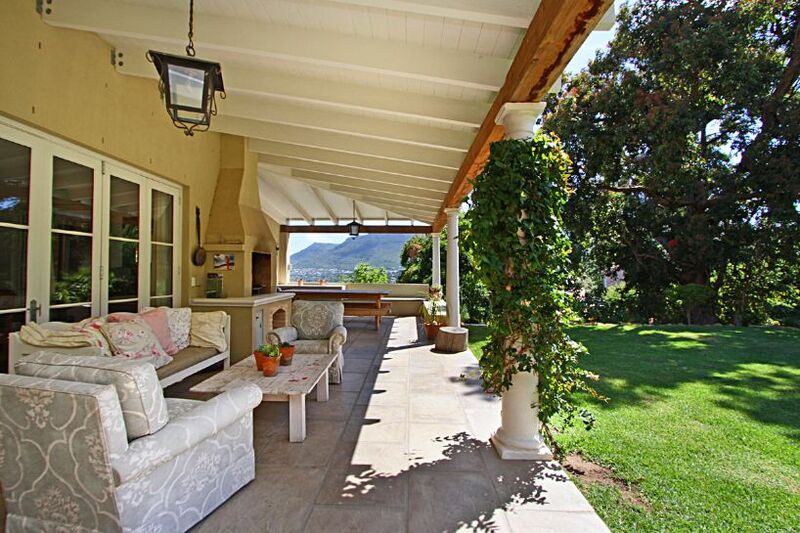 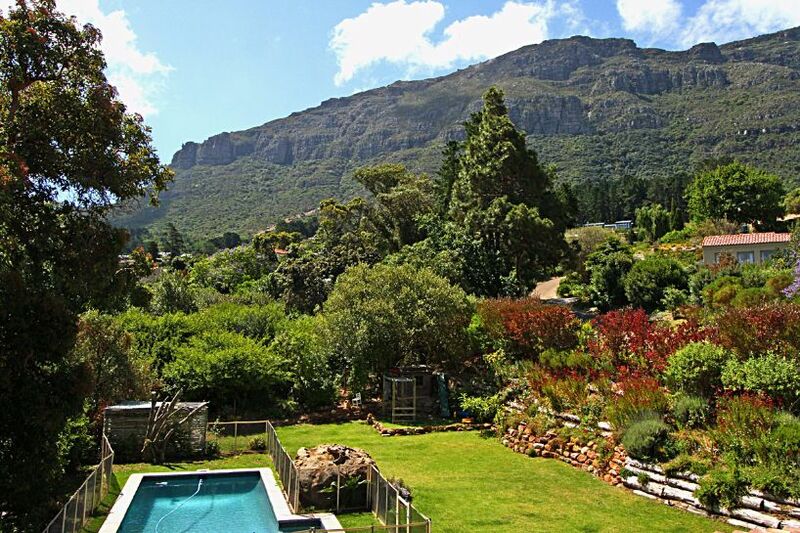 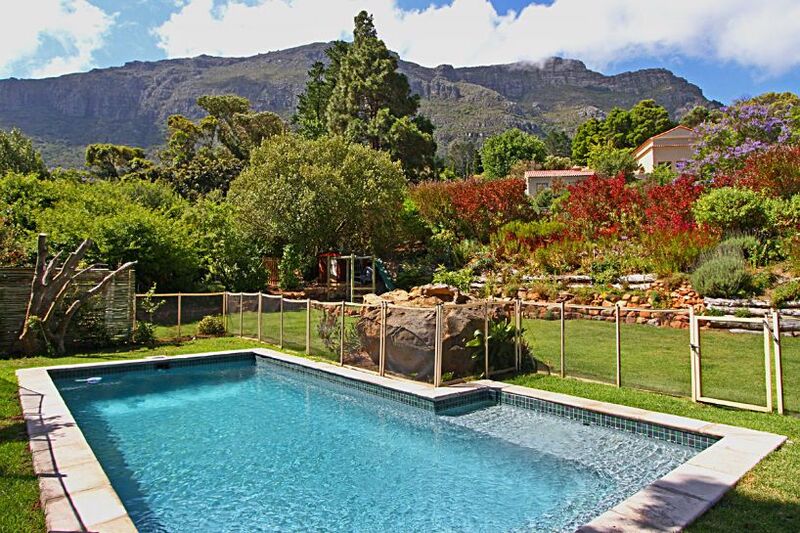 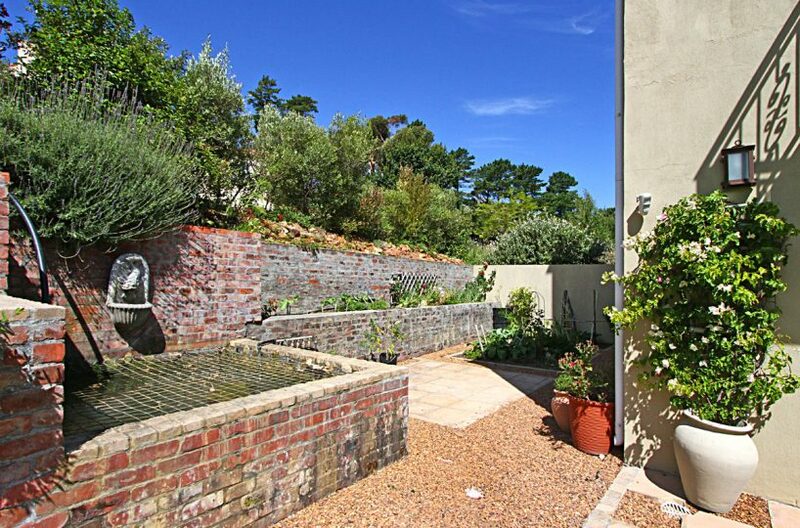 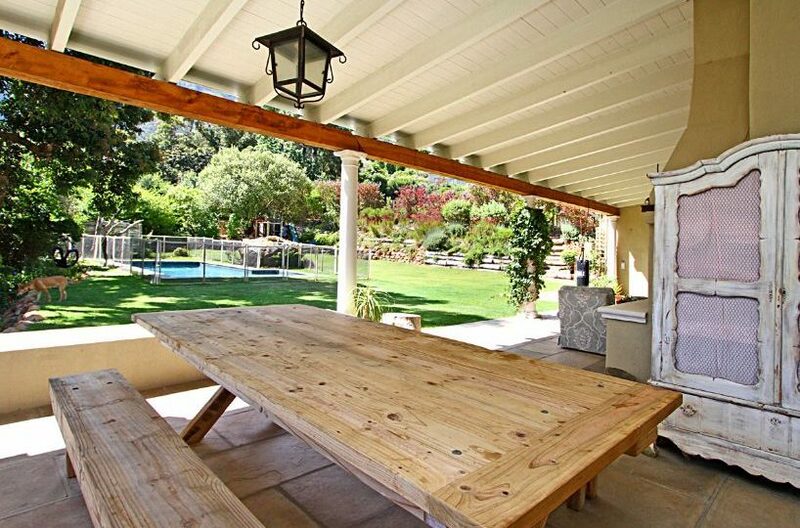 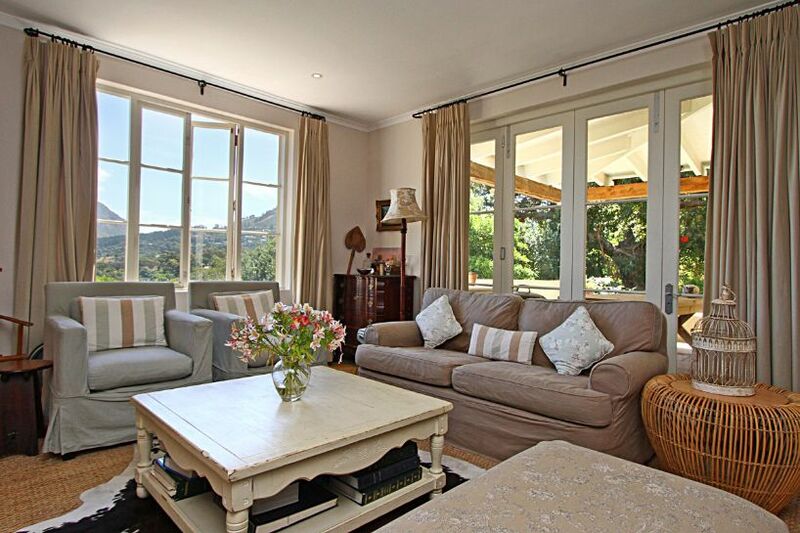 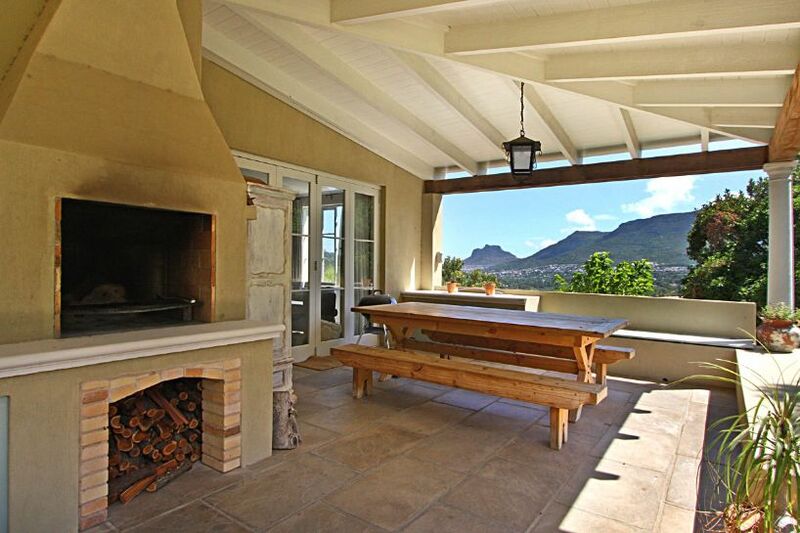 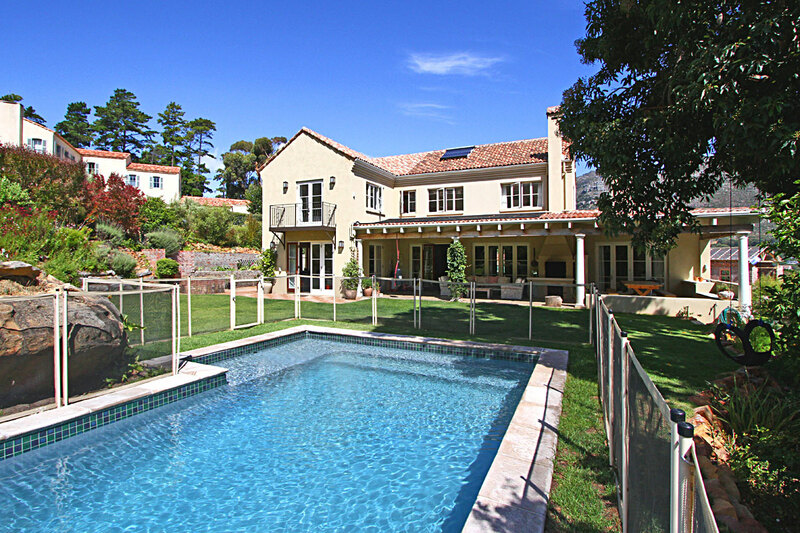 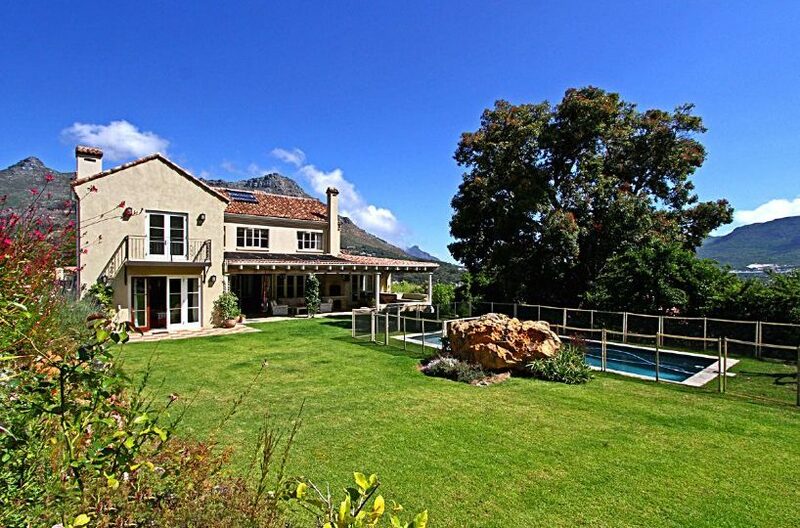 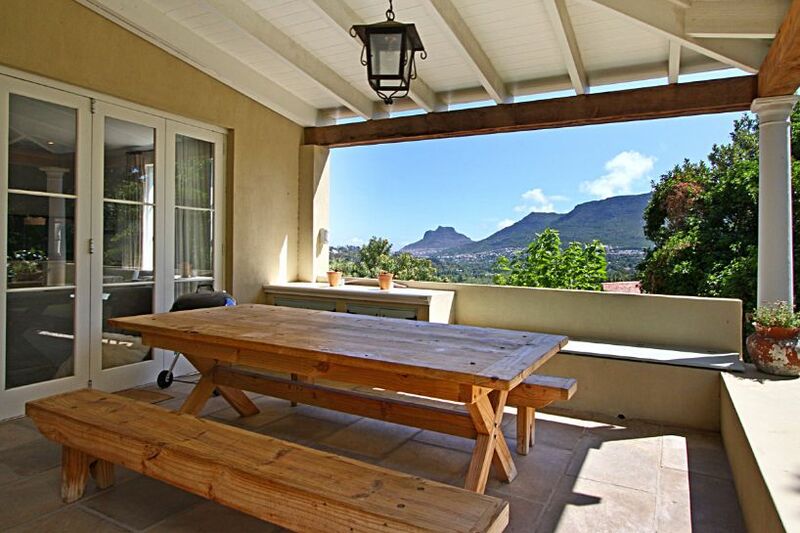 Modern, open and spacious family villa in private estate in Hout Bay. 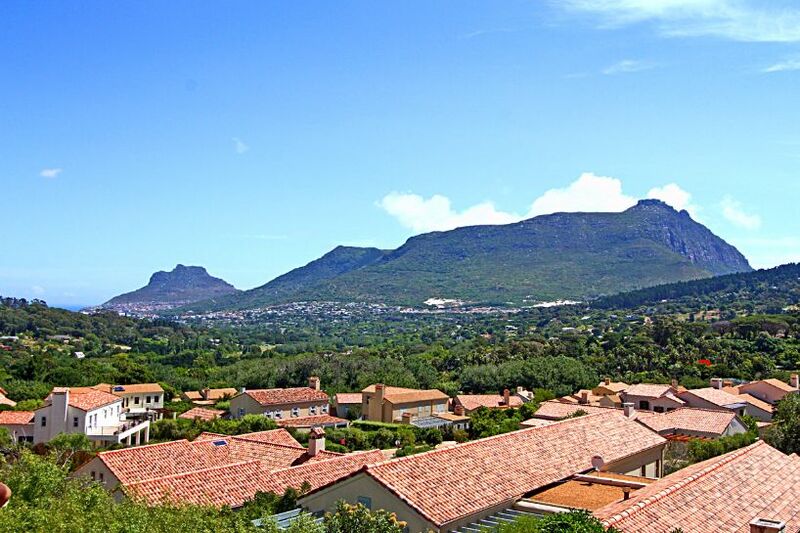 As you walk into the villa you are met with views overlooking the beautiful, large garden and pool, with endless mountain views all around you. 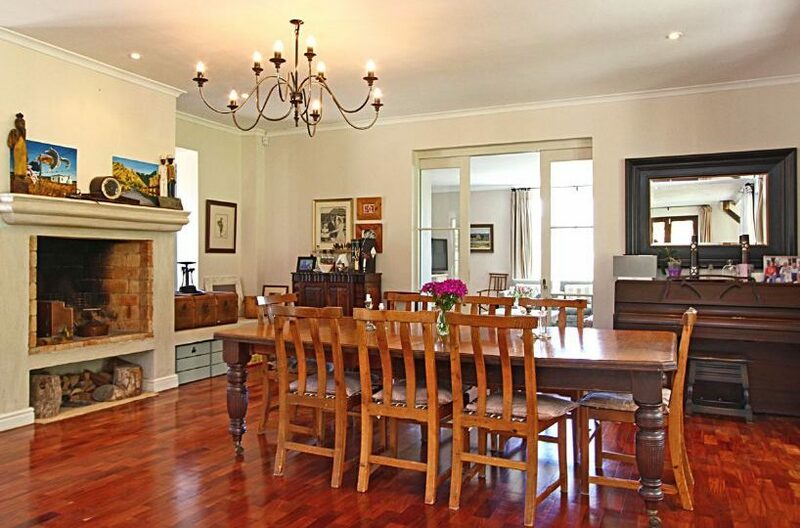 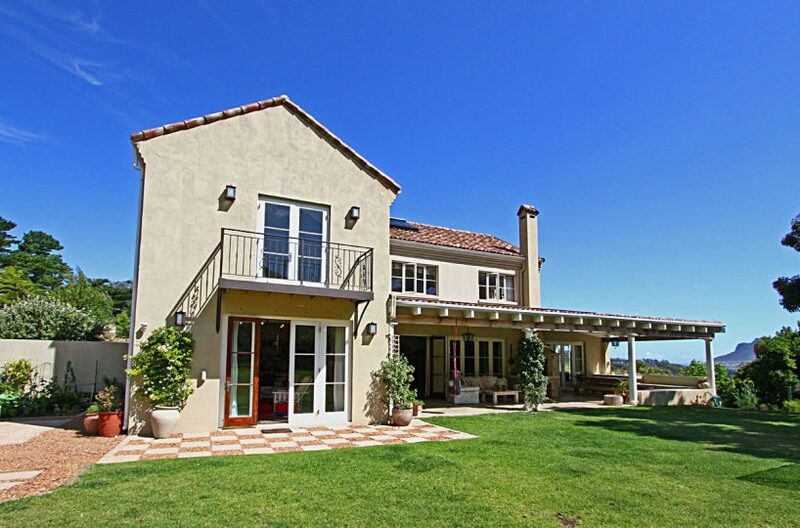 The villa is north facing so the house is warm and light. 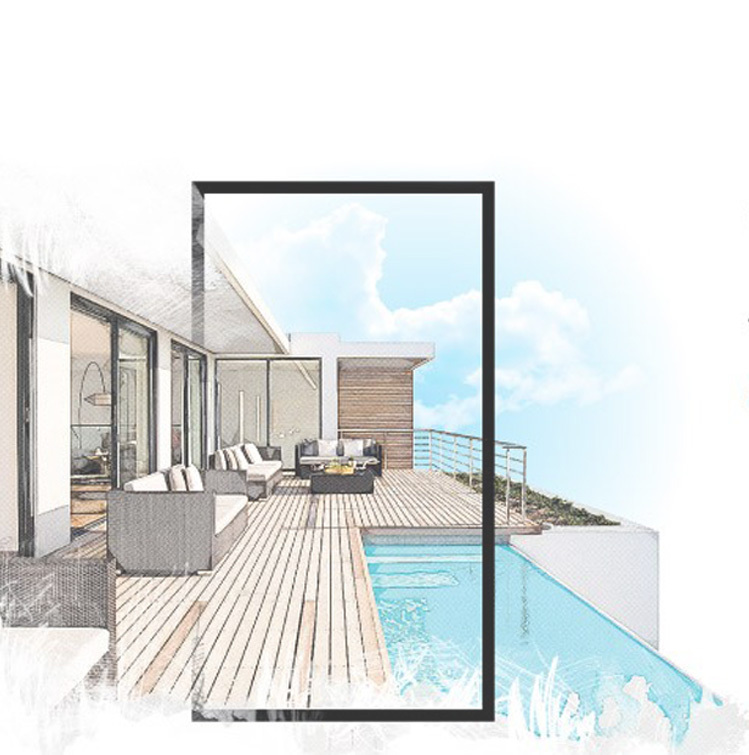 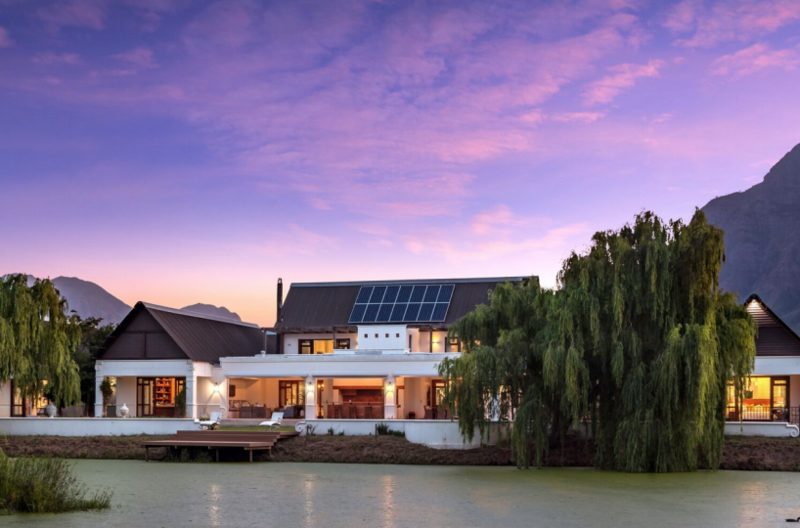 The main living area includes a dinning room, kitchen, scullery and lounge that all lead onto a big covered verandah with comfortable seating and a braai area. 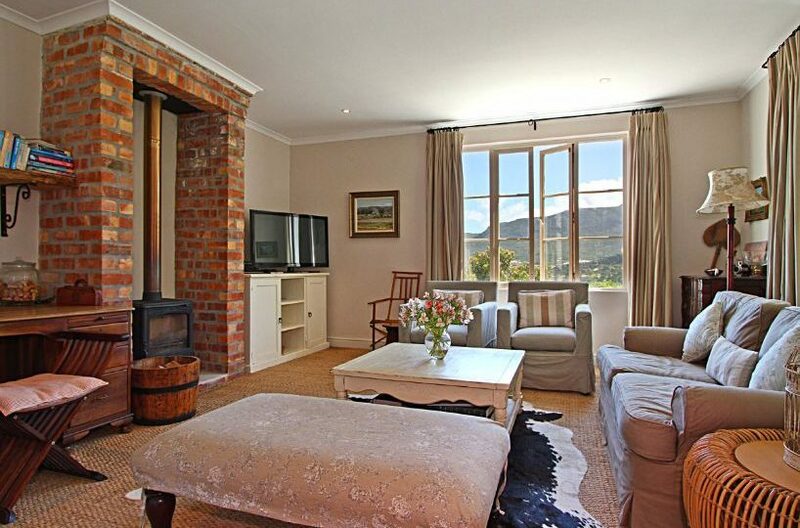 There is a separate living/TV room with DSTV and Netflix. 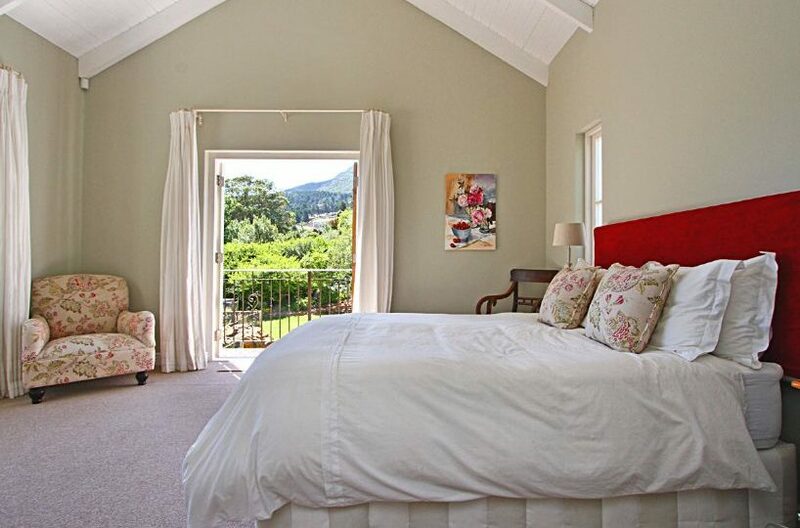 There are 4 large bedrooms including a separate en suite ‘guest unit’ that sleeps two in a king size bed and is quite separate from the rest of the house. 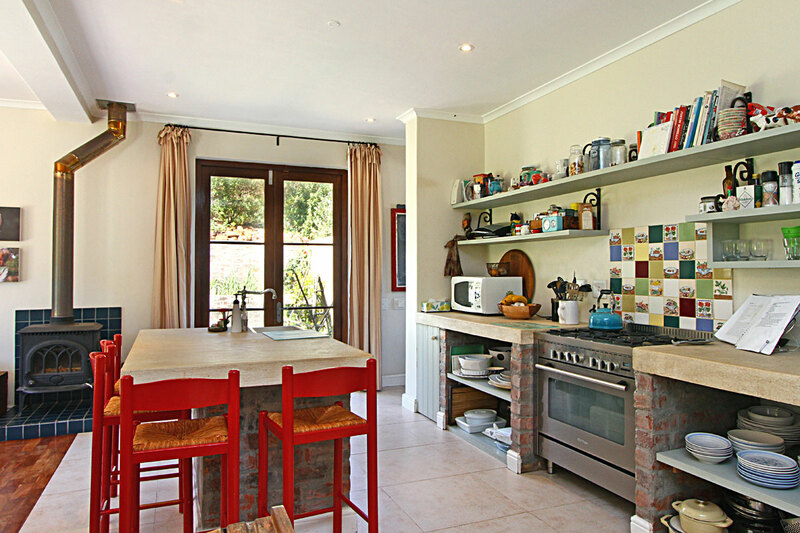 The upstairs area has 3 bedrooms. 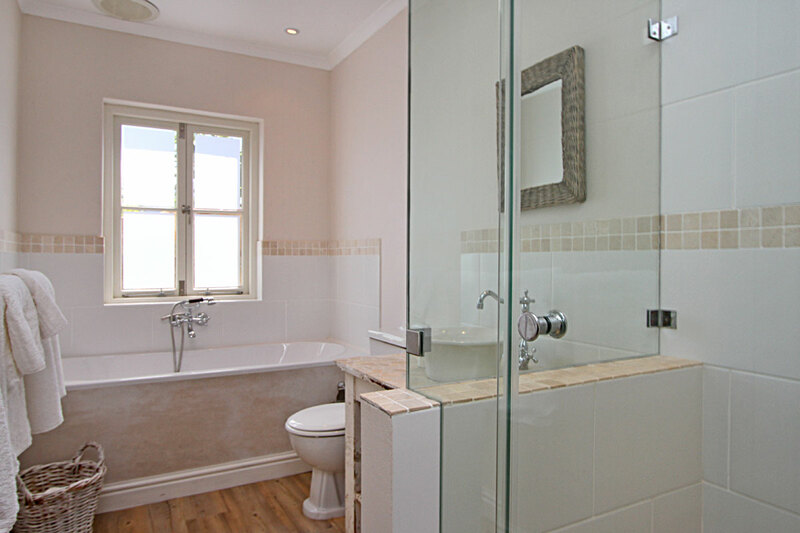 Two bedrooms sleep 2 and 3 people and share a bathroom. 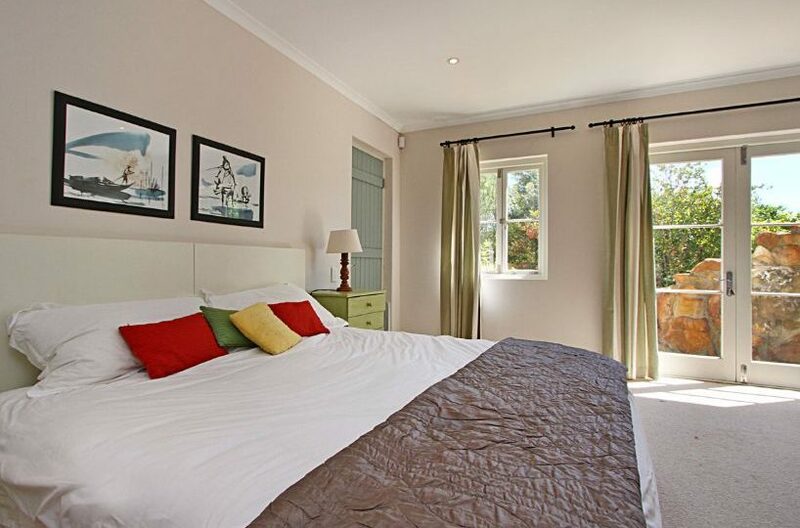 The main bedroom has a queen size bed and is en suite. All upstairs bedrooms have beautiful views of the mountain. All 3 bedrooms have built in cupboards and a fan. The villa has 24 hour guarding in the security estate. 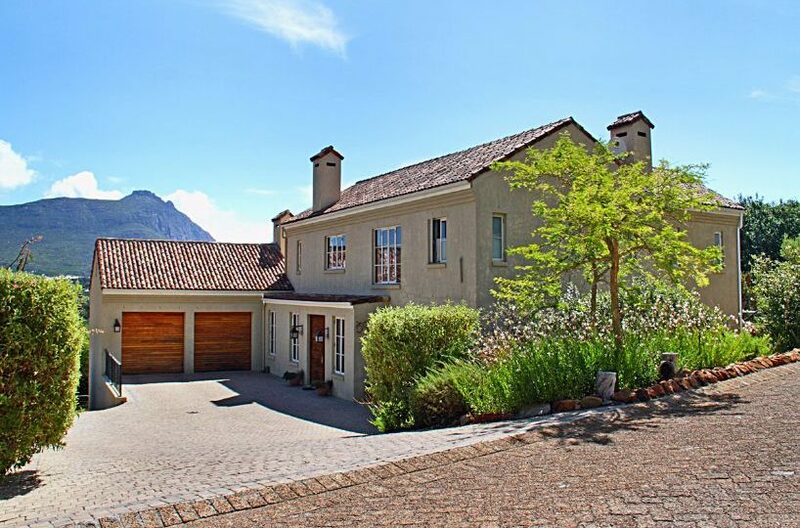 Guests staying in the villa will be given access to the house via a fingerprint system. Please note: the villa has two resident cats that are taken care of by the staff. There are also chickens in a fenced off area at the end of garden, and guests can enjoy freshly laid eggs! 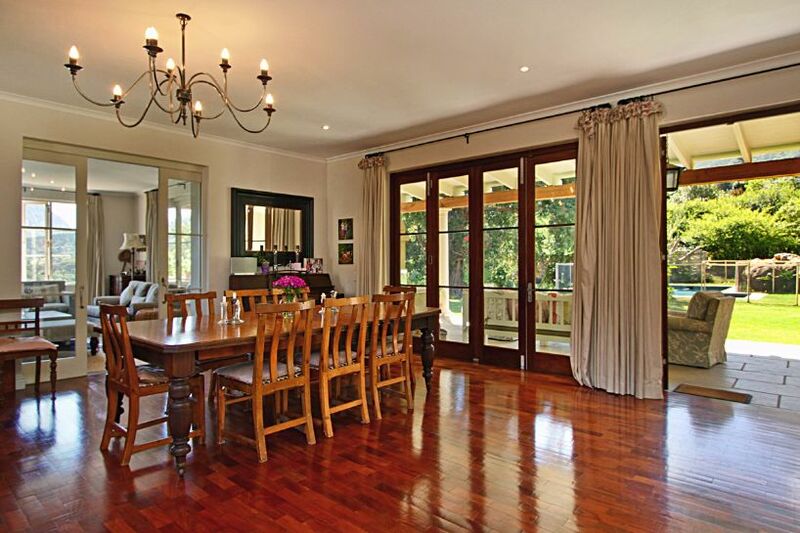 The house is serviced three days a week, or longer should you need it.